A list of my Top Ten Movie Quotes is a Top Ten list I’ve been meaning to make for a very long time. The reason I’ve held off from doing so is because of how truly difficult it is to make this list. I love movies and there’s a lot of them, but I also love movie quotes and there’s even more of them, but I’ve finally decided on a list that fits my preferences. 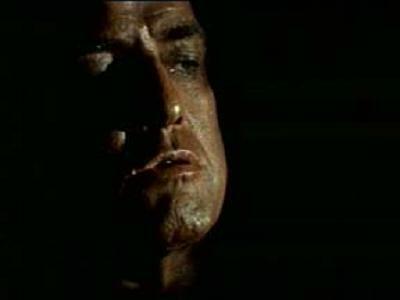 One of the most famous movie quotes of all time is, “I love the smell of napalm in the morning”, but if you ask me. Its not even the best quote in Apocalypse Now. That quote pales in comparison to Col. Kurtz’s final words. His death is one of the most iconic ever put on screen and when he speaks those last words my heart is pounding every time. Henry Fonda’s character Frank in Once Upon a Time in the West is one of the most cold blooded basterds ever put on screen. We don’t learn the true depth of his villainy until the final showdown of the movie and we here him say that line as he smiles and performs one of the most despicable acts a movie villain ever has. There have been many movies that have tried to encapsulate the entire meaning behind the movie with just one final monologue. No other movie was able to do it quite as well as American Beauty did. In just one final monologue, Lester Burnhum (Kevin Spacey, who recieved a well-deserved oscar) reflects on his life and the “beauty” in the world. Its a quote that is mind-numbingly deep, memorable and above all, beautiful. Batman Begins is a masterpiece of a movie that tells the origin of the cultural icon Batman, directed with dark realism by Christopher Nolan. With this one, short line, the very essence and character of the man most call Batman, is captured. Its literally breath taking every single time when the villain Ra’s Al Ghul says “Have you finally learned to do what is necessary?” and Batman gives one the greastest responses in film history. Unforgiven is one of my favorite movies of all time and by far the greatest western ever made. With just this six word quote, not only is the nature of the film captured, but also the idea of the true west in general. First, Munny says the powerful line, “Its a hell of a thing killing a man, take away all he’s got and all he’s ever gonna have.” The Schofield Kid responds with a cold, “Well, I guess he had it comin,” to which Munny responds with one of the most meaningful quotes ever put on screen. Roy Batty’s enigmatic “tears in the rain” quote is by far the greatest last words ever put on screen. The quote might not sound like much when you read it, but to here him utter those final words is absolutely beautiful. 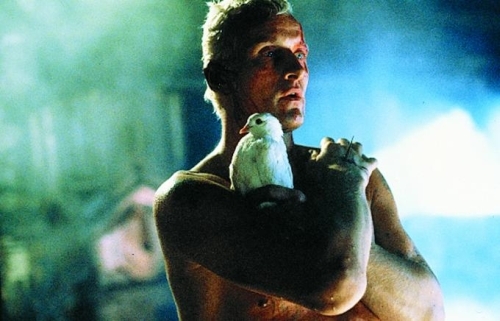 The replicant Roy Batty is one of the greatest movie characters in general and his final monologue is undoubtedly one of the greatest quotes ever put into a film. Inlgourious Basterds is one of the greatest films ever made. It just builds and builds to what is, to me, the greatest ending in the history of film. Not much is as satisfying as seeing one of the most villainous characters on screen get exactly what he deserves and its Lt. Raine’s fantastic quote that is the absolute perfect set up for what is about to happen. Because of the events that transpired in the hours before hand, we know exactly what’s about to happen to the basterd Col. Hans Landa and I can never help but getting a feeling of pure solace as Aldo utters this quote. The Lord of the Rings is the very definition of the word epic. Just hearing the very word makes me immediately think of The Lord of the Rings. 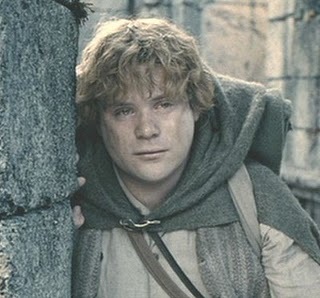 There are an endless amount of amazing scenes and moments, but the greatest quote in the entire trilogy and one of the greatest in existence is Sam’s monologue at the end of the The Two Towers. I’m litrally almost brought to tears every time because of how emotionally involved I am with the film during that quote. I get goose bumps every single time I hear it uttered. 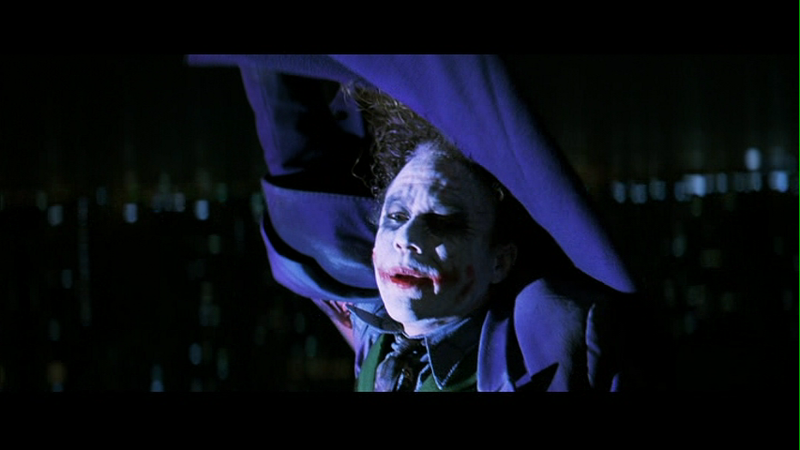 The Dark Knight is by far my favorite movie in existence, while The Joker is undoubtedly my favorite movie character. With this quote, the very essence of the reasoning behind my love for the film and the relationship between Batman and The Joker. Its one of the greatest quotes in film and it was incredibly difficult for me to put it in the second slot. This is my favorite quote that is uttered by my favorite movie character in my favorite movie of all time and it deserves nothing less than my undying praise, but I had to give it the second slot because of my unconditional love for the next quote. Pulp Fiction is one of the greatest movies of all time and to tell the truth, when it comes the writing, its undoubtedly the best. In his greatest performance, Samuel L. Jackson plays the fantastic character Jules Winnfield and in what is the greatest scene in film history, he says the greatest quote in the history of film. Many people love the Ezekiel 25:17 Bible verse and don’t get me wrong, I love it too, but its basically nothing without Winnfield’s unforgettable examination behind the meaning of the words. No monologue, line or quote gets me nearly as emotionally involved in the film at hand than this one. I truly don’t see it ever being surpassed. Not even my favorite movie/character was able to do that. Jules Winnfield is unquestionably the holder of the greatest movie quote of all time. This entry was posted in All, Film Top Ten Lists and tagged American Beauty, Apocalypse Now, batman begins, Best Movie Quotes, Blade Runner, Gladiator, Inglourious Basterds, Memento, Movie Quotes, Once Upon A Time In The West, pulp fiction, the dark knight, The Lord of the Rings, The Lord of the Rings: The Fellowship of the Rings, The Lord of The Rings: The Return of the King, The Lord of the Rings: The Two Towers, Top 10 Movie Quotes, Top Movie Quotes, Top Ten Best Movie Quotes, Top Ten Movie Quotes, Top Ten Movie Quotes of All Time, Unforgiven. Bookmark the permalink. That “Unforgiven” scene is just brilliant. Wonderfully scripted and beautifully shot. And I love the final scene to “Inglourious Basterds” as well. Yo how could you not put Maximus’s line? And what are we holding on to Sam? That there’s some good in the world and its worth fighting for. Even if i would have made the list, it wouldn’t be much different than yours and the first and second would be the same. The joker had a wonderful line, but we all know pulp fiction was the movie with the greatests dialogues.